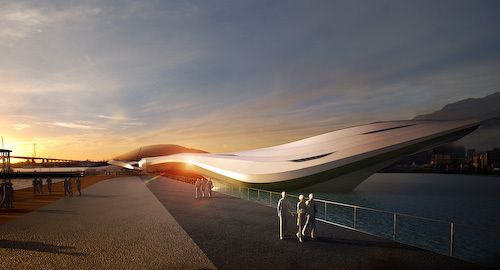 "Fluid" designed by Antoine Damery is a pavillion capable to sailing to different coastal cities. 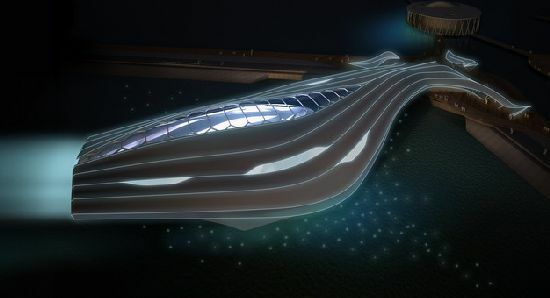 Designed for the World Expo 2012 in South Korea, the ideas behind this design is based on sustainability and the preservation of coasts and sealife. 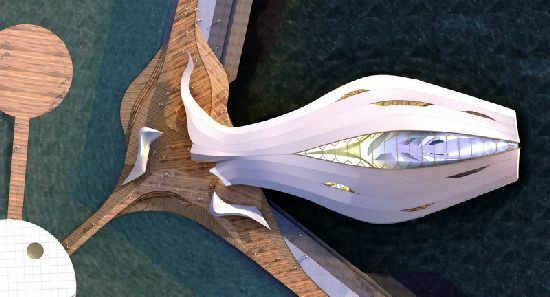 The structure itself is very streamline and fluid, with the central spine/skeleton resembling marine skeletal structures and the inspiration is obvious. 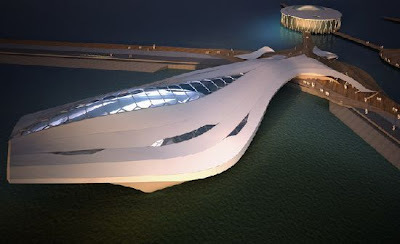 I find the design mesmerising but the idea that it is mobile is fascinating- the multipurpose use of this will be huge. 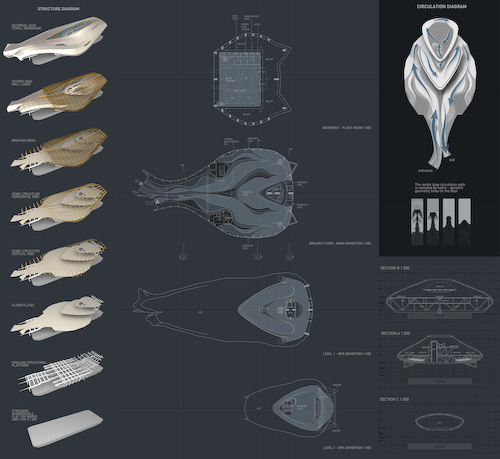 The interior renders are also really impressive!